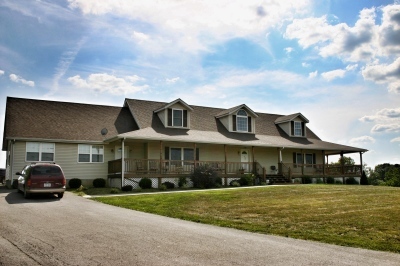 The Elizabethtown Campus is located on a beautiful 40-acre farm with a stream and woods. This campus specializes in providing clinical treatment services to boys between the ages of 8 and 14 years. Nine children reside in the Maple Valley Home, which is a ranch style home tucked among maple trees. Nine children also reside in the Hill View Home, which is a two-story home with a large country front porch that overlooks the campus. There are lots of outdoor activities such as sports, nature hikes, fossil and arrowhead collecting, gardening, and bird watching. The area is full of wildlife for the boys to admire such as deer, turkey, various birds, ducks, and geese. The Elizabethtown site also proudly displays a log cabin more than 100 years old.